Following the Russian Revolution, a small number of suffragettes transferred their allegiance from the women’s movement to international communism. For two young activists, the ‘Lenin Revolution’ promised adventure, kinship and the chance to reshape women’s role in society. Sylvia Pankhurst in a bath chair, London, June 1914. In 1916, Sylvia Pankhurst and her East London Federation of Suffragettes hosted a Christmas party for local children. Pankhurst described the scenes at her headquarters on 400 Old Ford Road in her 1932 memoir of the war years The Home Front. Fellow suffragette Norah Smyth disguised herself as Father Christmas and greeted a crowd of more than 900 children. Meanwhile, children wearing ‘red caps of liberty’ led a procession of young suffragettes adorned with flowers. Among these parading suffrage activists, Pankhurst wrote, were ‘the two pretty Cohens, one as slender as the lily she represented and the other, Nellie, my secretary, glowing ripe as a peach’. Three years before this pageant, Pankhurst had established a branch of the Women’s Social and Political Union (WSPU) in London’s East End that proved, to the extreme consternation of Sylvia’s mother Emmeline and sister Christabel, a ceaseless font of radical politics. Sylvia’s creation of ties with socialist organisations such as the Herald League brought her into conflict with the Women’s Social and Political Union (WSPU) leadership. In 1913, her appearance on a platform in support of Irish workers active in that year’s famous Dublin lock-out – a large scale industrial dispute in the Irish capital – acted as the final catalyst that lead Christabel to break the formal tie between the main body of the WSPU and Sylvia’s East London branch. Expelled from the parent organisation in 1914 and thus free to pursue an independent path, the East London Federation of Suffragettes argued that women's suffrage was just one step in a road towards emancipation that necessarily entailed socialist transformation. 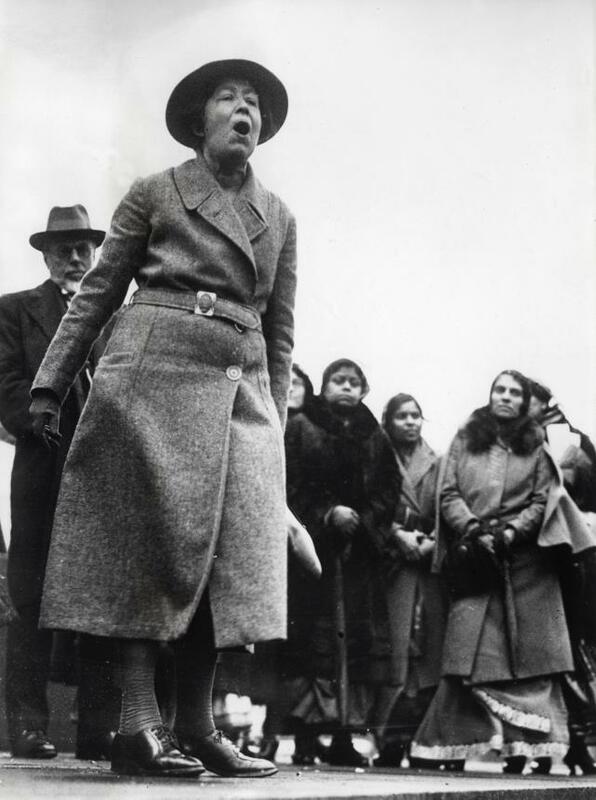 Sylvia Pankhurst protesting in Trafalgar Square, London, 1932. Considering the sprawling slums which lined the streets patrolled by the East London suffragettes, it is easy understand how a revolution might have seemed the only solution. In cramped conditions, East End families survived the everyday indignities of capitalism alongside groups of social revolutionaries who were plotting its downfall. One group which provided a prolific stream of radicals was the local Jewish community, produced by the exodus of families fleeing antisemitic pogroms in the late 19th century Russian Empire. It was into one such refugee family that the ‘two pretty Cohens’ of Pankhurst’s 1916 pageant, Nellie, and her younger sister Rose, were born. 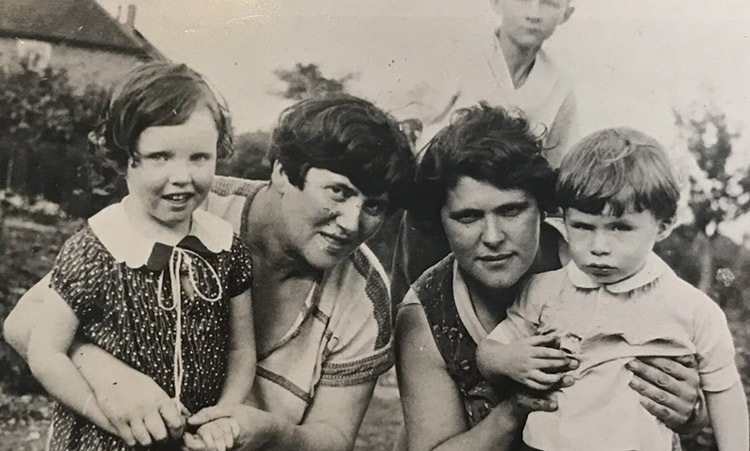 Lifelong renegades, the Cohen sisters shared a path that began in East London with the movement for women’s suffrage and led to the international communist networks that developed in the tremors spreading outward from the October Revolution. The globe-trotting lives of these two sisters, marked by utopian hope and ultimate betrayal, provide interesting territory upon which to map out the answer to a rarely asked but fascinating question: what led certain suffragettes to join up with the international proletarian revolution? The Cohen sisters were the youngest daughters of Maurice Cohen, a tailor who left his native home of Turek, Poland with his wife Ada in 1884 and settled with his young family in Whitechapel, London. In her teenage years, Nellie was enthralled by open-air meetings presided over by suffragette orators and joined the movement. In 1913, she received an enviable job for a young feminist as Sylvia Pankhurst’s personal secretary. Rose also joined her sister among Pankhurst’s East London Federation of Suffragettes. After leaving their family home, Nellie and Rose moved into a flat on Grays Inn Road with two comrades from the East London Federation of Suffragettes. In 1917, news of the Russian monarchy’s demise entered this East End revolutionary ‘nest’ with all the force of a Special Branch raid. 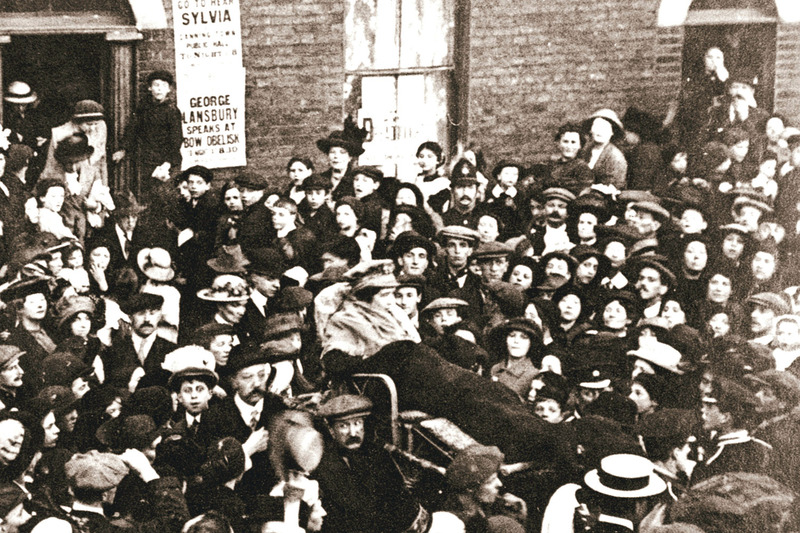 In March, Pankhurst addressed a meeting organised by representatives of the East London Jewish community to welcome the overthrow of the Tsar. Attendees swayed with enthusiasm as though intoxicated by the political moment. Following several more months of political tumult in Revolutionary Russia, the stage was set for Lenin’s seizure of power. During the period between the February and October Revolutions, Pankhurst steered her organisation and the Dreadnought towards solidarity with Bolshevik aims. Pankhurst responded to the October Revolution with an editorial heralding the ‘Lenin revolution’ as the harbinger of an authentically democratic power. She was not the only suffrage agitator in Britain to call for ‘all power to the soviets’. Charlotte Despard, the founder of the Women’s Freedom League, joined a committee tasked with establishing a Soviet-style system in Britain during the summer of 1917. Dora Montefiore, the English-Australian suffrage campaigner, described in her 1927 memoir how, though she never personally met Lenin, she ‘felt his spiritual presence on every side’. Indeed, Montefiore joined the Scottish suffragette Helen Crawfurd in the nascent Communist Party of Great Britain. The comments revealed not only the divide in suffrage opinion but also the acute rift in the Pankhurst family. In broader British society, the rise of the Labour Party ensured that popular desires for social transformation were funnelled through parliamentary- rather than revolutionary-style politics. Conservative opinion, of course, quaked at the portent of a Bolshevik-style revolution taking place in Britain, a threat exaggerated by paranoid government reports and sensationalist media coverage. In contrast to these fears of insurrection, Sylvia Pankhurst believed that support for Bolshevik aims provided an expansive program promising not only gender emancipation but the building of a new world. 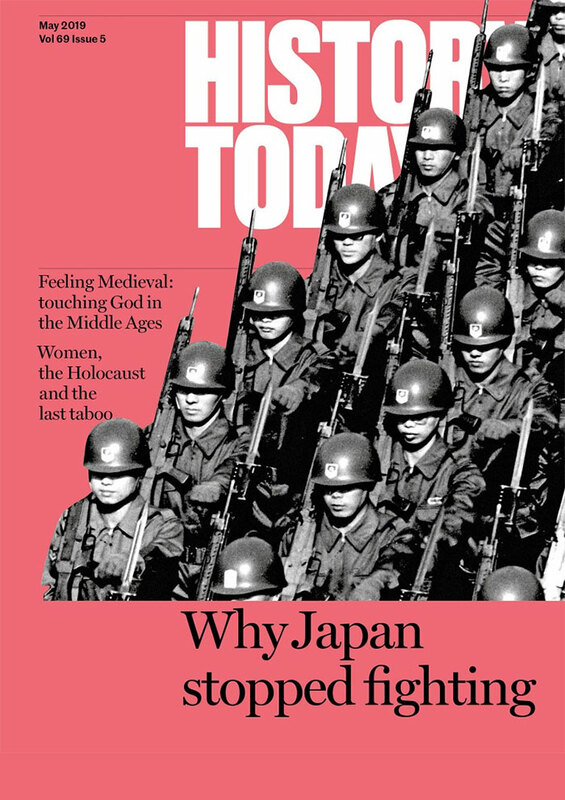 In the post-franchise act doldrums, it was also means of re-engaging with an international movement. But for Pankhurst’s rank-and-file adherents like Rose and Nellie Cohen, what did the ‘Lenin Revolution’ promise? The answer, put simply, is adventure. The nascent networks of international communism provided a unique cast of characters and plots. Nellie and Rose, through their work for Pankhurst, were flung into the race to establish a British Communist Party that would receive the graces of Lenin and the Comintern, the international organisation for world revolutionary parties headquartered in Moscow and Berlin. An early attempt was made by Pankhurst in 1919, who established an ultimately unsuccessful communist grouping at a founding conference in the flat Rose and Nellie shared. In the same year, Pankhurst appointed Nellie to the office of the People’s Russian Information Bureau, a propaganda initiative partly funded by Soviet representatives in Britain, which set out to spread ‘the truth’ about Soviet Russia. The organisation drew on Pankhurst’s own connection with Bolshevik representatives operating in Britain, in addition to a sympathetic contact in the French Military Mission in Moscow who leaked information to the Bureau. Rose would become a prominent figure in the group which successfully received the approval (and funding) of the Comintern, the Communist Party of Great Britain, founded in 1921. Linguistically talented, intellectually sharp and politically committed, Rose advanced through the Party ranks, even becoming the love interest of several Party organisers. Communist intellectual Esmonde O’Higgins and the future General Secretary Harry Pollitt were among her admirers. What would these two young feminists have admired in the early Soviet state? At first glance, the intensely bureaucratic and emphatically violent ideology of Bolshevism seems an unlikely fit for the veterans of a movement which regularly exhorted femininity’s pacifying influence. Yet early Bolshevik attempts to reshape the role of women in society had a magnetic draw for many international feminists. 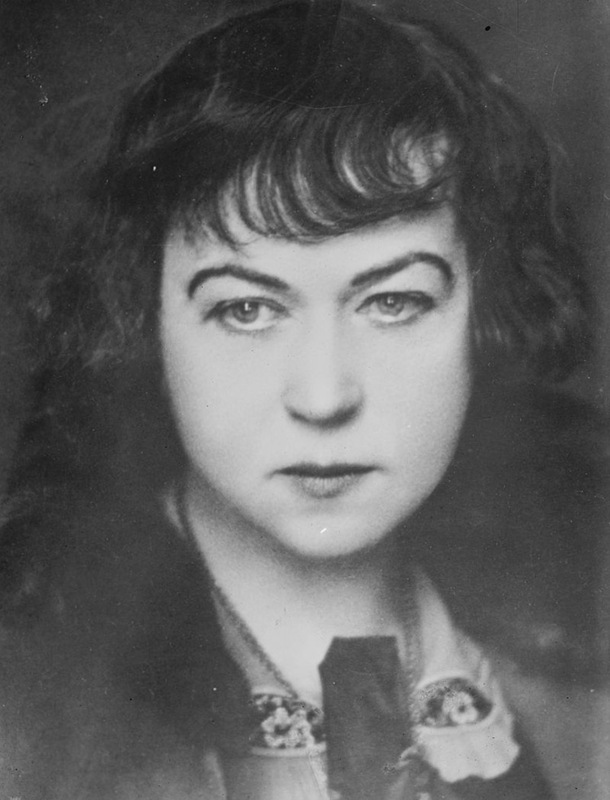 For Alexandra Kollontai, a Bolshevik and the first woman to hold a ministerial post, communism heralded the collapse of the traditional family and prophesied that in its place would rise a new gender dynamic built on comradeship. 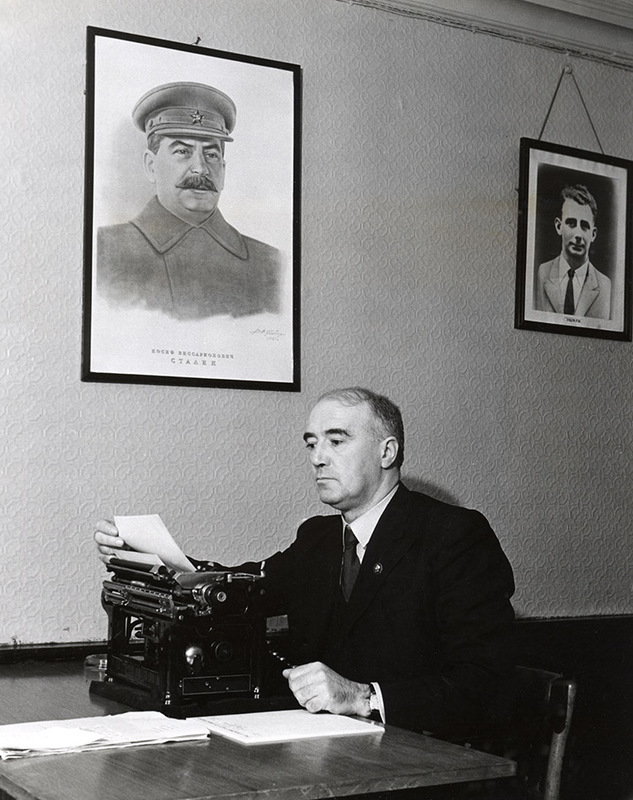 The reforms introduced by Kollontai’s Commissariat for Social Welfare in the early years of the Soviet state included access to birth control and the legalisation of abortion. To enter into international communist networks was to act as a defender of these progressive reforms and to assert your belief that Marxist-Leninist theory provided the only viable route to human emancipation. On a more intrinsic level, as the historian Raphael Samuel has noted, becoming a communist provided a complete social identity. Rose and Nellie, initially attracted by the ideals of the Russian Revolution, became fixtures of a social set based in London’s Hampstead and Moscow’s Tverskaya Boulevard that constituted one of the more unusual friendship networks in modern history. Throughout the 1920s and 1930s, international communists set about their world-historical mission. Women were often undervalued as Party organisers in comparison to their male counterparts but were useful in administrative roles and even as clandestine couriers. Rose was entrusted with a series of missions for the Comintern, taking her to destinations such as Paris, Moscow and Berlin. While active in Norway, Rose may even have come into contact with Kollontai, the architect of Bolshevik feminism herself, who noted in her 1924 diary the presence of ‘Roza Kogan’, the Norwegian Soviet diplomatic mission’s ‘coder’. Through communist networks, Rose met David Petrovsky, a Comintern agent born in the Ukrainian town of Berdychiv with impeccable revolutionary credentials who was tasked with overseeing British communist activities. They fell in love, married and, in 1929, Rose gave birth to their son Alexey in Moscow, where she had settled permanently. That same year, Nellie had a daughter, Joyce, in more difficult circumstances: the father was a married man who was unaware of Nellie’s pregnancy. In order to escape the stigma of illegitimacy and to avoid any unwanted revelations, Nellie’s close friend and former suffragette comrade May O’Callaghan secreted them both away to New York communist circles. A few years later, Nellie returned to England and found clerical work in the Soviet Embassy in London. It seems that David Petrovsky, Nellie’s high-ranking Bolshevik brother-in-law, had pulled some strings to get her the post. In Moscow in the 1930s, Rose worked as the foreign editor of the USSR’s only English-language newspaper, the Moscow Daily News, and lived among the communist elite. The most widely known aspect of Rose Cohen’s biography remains her untimely end, detailed in Francis Beckett’s Stalin’s British Victims (2004). In the late 1930s, ominous clouds gathered over the Soviet Union. A wave of arrests and executions, known as the Great Terror, were unleashed on the Soviet populace. In 1937 – the most lethal year of this dark period – Stalin’s secret police came for Rose and her husband. The couple’s history of international travel made them suspect to a regime paranoid about foreign subversion. David Petrovsky was arrested at the beginning of the year and executed in September. A month prior to his death, Rose was arrested. Prominent British Communists such as Harry Pollitt appealed to powerful friends for her release but, as Beckett demonstrates, these pleas were ultimately unsuccessful. Nellie, for her part, appears not to have grasped the severity of her sister’s situation. On 14 August 1937, she wrote a letter to her sister filled with family anecdotes. The letter was returned to sender. On the day Nellie sat down to write it, Rose had just spent her first night in a Moscow cell. Three months later, Rose was executed on a false charge of espionage. 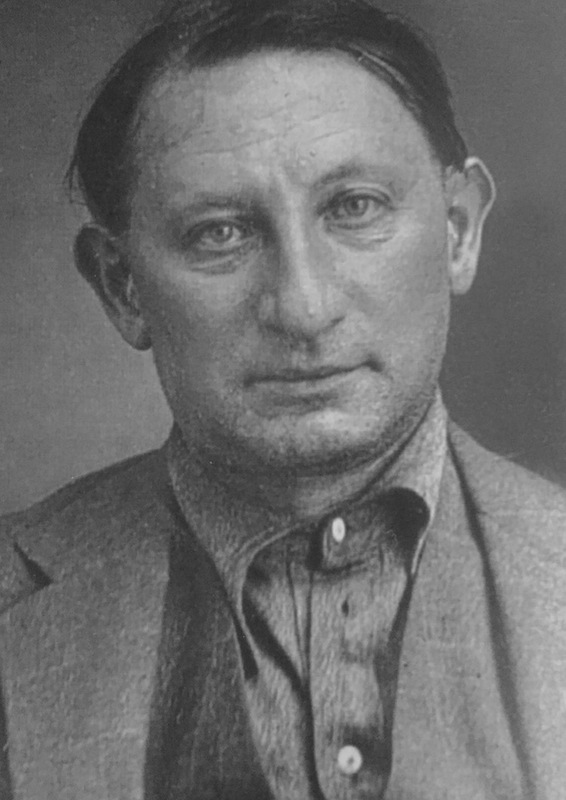 David Petrovsky's prison photo, 1937. Would Nellie and her husband Hugo Rathbone have agreed with this sentiment? For decades, Nellie, her daughter Joyce, and Hugo lived unassuming lives in North London. The Rathbone family were, by all accounts, a quintessentially British example of the communists-next-door. Communism, as E.P. Thompson noted, was a complex noun, which included for the Rathbone family their intimate bonds alongside dark moments in their family history. During Nikita Khrushchev’s policy of de-Stalinization in the late 1950s, Rose and David Petrovsky were posthumously rehabilitated and cleared of all charges. In 1973, when Nellie was interviewed by Lucia Jones, a researcher writing on Sylvia Pankhurst, she mentioned her sister’s rehabilitation. Clearly, Rose’s fate and her proven innocence mattered to Nellie. Nevertheless, Nellie remained a committed member of the Parliament Hill Fields branch of the Communist Party of Great Britain until her death in 1979. Rose and Nellie followed an extraordinary path from East London activism alongside Sylvia Pankhurst into the world of international communism – and, finally, toward a tragic betrayal of their utopian dreams. The careers of Nellie and Rose Cohen underline that the granting of partial suffrage in Britain and Ireland was just the beginning for many activist women. Nellie, Rose, and many others like them, sighted a new political horizon for international feminism by turning their attention away from Westminster and eastward towards Moscow. During this centenary of the 1918 Franchise Act, the diverse political trajectories of former suffragettes remind us that their fight for gender equality did not end with the granting of the vote. The fiery indignation against injustice that fuelled early feminist struggles has not dissipated, in part because activists like the Cohen sisters carried the flame into the interwar period and beyond.